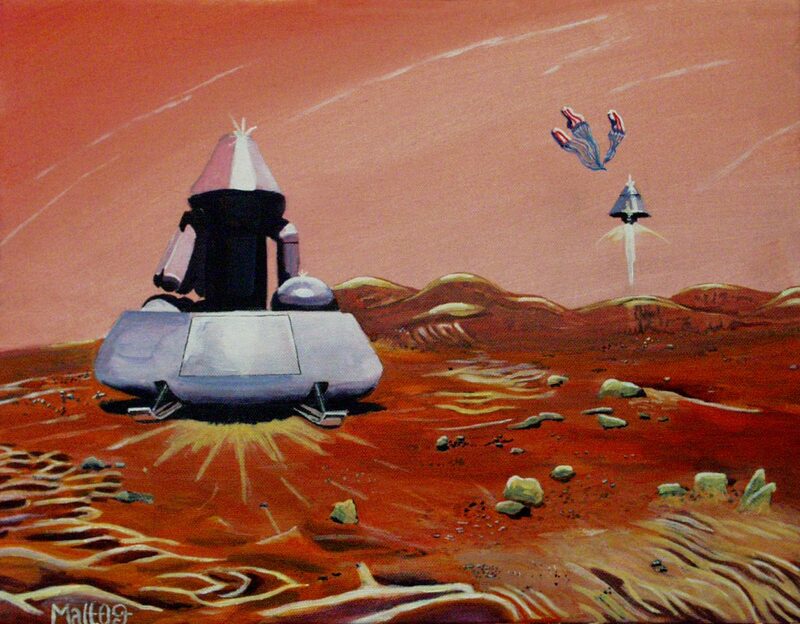 A depiction of 1960s concept Mars Excursion Modules arriving on Mars. Acrylics on paper. This artwork is copyright © Matt Colborn. All rights reserved.